From Capt. 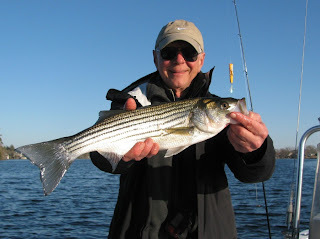 Mitch's report below, striper fishing is good and steady up on the Roanoke/Albemarle. I hear that Capt. Greg and Capt. Joe had a decent day wtih the specks on the Bay River. Down here in CR, the weather is here, wish you were beautiful. Good sailfishing, getting just what we need. Although I would like to see some more meat fish for dinner. "Capt. George, the weather this past week has been awesome and the Striped Bass fishing has been some of the best Winter fishing I've seen. Half day trips are catching 40-50 fish, full days are pushing well over the 100 fish mark! This is all casting and Fly so it's go time. Congratulations to Southern Pride who won Leg 1 of the Los Suenos Signature Billfish Series with 4100 points, that's 36 sails and a marlin. Followed by Crush'em with 3700 points, all sails and Bandolera in 3rd with 3600 points that included 2 marlin and 26 sails. Plenty to do here in NC, can't say it can be done in shorts however. The Striped Bass fishing is in full swing with 80-100 fish days. It's all casting light tackle and Fly, needless to say the fishing is off the hook! Being on top feels a lot better.....but we're still in it, 3 more days to go. Bandelara is in the lead with 10 sails and a marlin, followed by several boats with 12 sails. We had 13 good bites and caught only 5....but we're learning a lot.....and having fun, especially when someone put the guacamole in the fighting chair as I was taking a seat in it to relax. 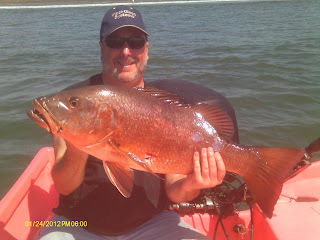 Big day yesterday, caught 16 sails, practicing today, tournament starts tomorrow.....will fill you in on how it goes. Good day on the Dragin Fly today, our 2nd grand slam of the week, this one was made up of 2 blue marlin a striped marlin and a pair of sails.......also dorado fingers by the pool. Until I get some cusotmers sending me shots, I'm out to lunch on puttin gup a lot of pics.....left my camera at home. should be "delivered" within the next week or so. As you can see, Anna is playing with the video. Here are some shots from Micthell Blake who is already ont he lower Roanoke catching stripers. 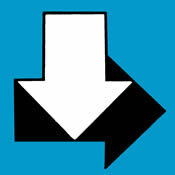 If you want som early action, give us a ring or shoot us an e mail. He is doing pretty good, had 37 on a half day today. You guys will like this. I usually get out and help feed them, but yesterday, they were a bit "frisky". Sails were frisky today, had 17 bites, but just caught 7.......I was "helping" hook them. Very busy here settling in. Fishing is really good, double digit shots at billfish each day, great action on the roosters. A lot of grand slams that people catch include black marlin, but many of those the black marlin are not legit.....but convenient to complete a grand slam of 3 species of billfish. Black marlin look a lot like a blue marlin, but are not as common. Blacks are more structure oriented and have subtle differences in fin configuration. Their pecs NEVER fold down and they fight differently than a blue, staying down more with less jumps. The crowd from the Harker's Island Fishing Center got good video of the black marlin that they caught today, confirmed by a marine biologist.....well, I looked at it and am convinced it was a black. No video of the first marlin, but James called it a blue, add a sail and that's a grand slam. Wish I were there.......too much time in the "office". 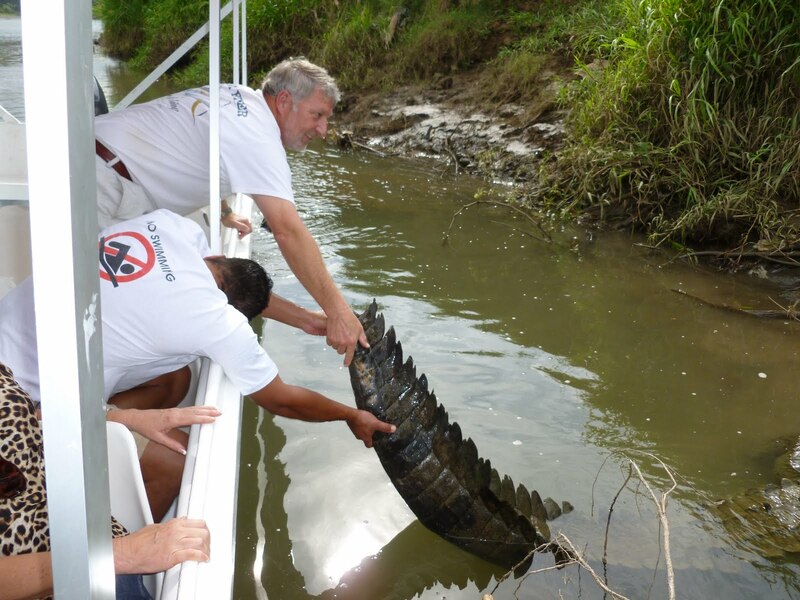 My office tomorrow will be the bow of a panga chasing roosters. "yea man we fished hard in the trent and not much love, but the guys still had a good time. We did a little better with the ducks and hunted the river this am and it was good. had a limit of bluebills a couple of scoters and a redhead! when we fished sunday the wind was north north west bout 30, suppose to warm up by the weekend, the trout and striper bite should be good as well as the ducks. Take care Ray"
Arrived safely in CR.....just in time to kill the bite, slow day yesterday, I hope the boys do a little better today, will let you know. Thanks for the invite, it reminded me a lot like Argentina......for a few minutes. I will enjoy the Gadwalls for dinner tonight. It was good to see some birds fly. 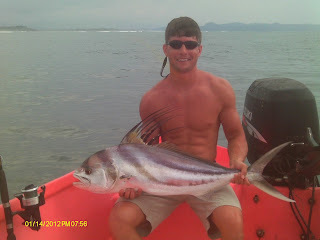 Down in Costa Rica, billfishing is pretty good, the guys caught 3 out of 4 marlin and 2 sails on a half day yesterday. .....can you tell which direction my bow will be heading soon? My plan backfired. I was bringing Anna up here to the mountains in VA so that she would appreciate the warm weather of CR.....maybe extend our season a little down there this year.....but the weather is beautiful up here and the deer aren't moving. Still blackpowder season, maybe I'll put a little venision in the freezer tomorrow....saw the white flag today as I was walking out of the woods....tail going in the wrong direction. "we had 8 sailfish before 10 am today then went chasen rooster fish that seems like it ben the same as the last time i went rooster fishing didnt get any better but we catch 1 cubera snapper and 1 big amberjack"
I guess after8 sails by 10 am, the 1 guy on the boat wanted something different........doesn't know how good he had it. .....and tomorrow, keep an eye out for the Winter Newsletter with Fall Fishing Recap, 2012 Forecast, Down East Destinations and more. Maybe the ducks will start flying.....went trout fishing at the coast this afternoon.....much better in the river, but it was an easy trip....and cold. I remembered why I go south at this time of year.